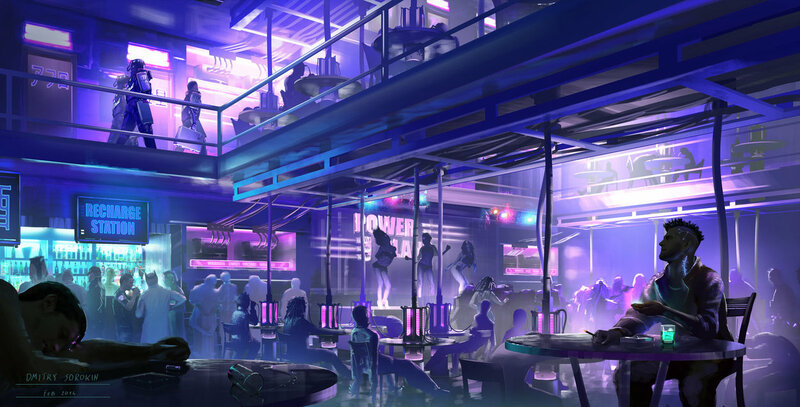 The Do’Mani Nightclub (and Bar) is located in the heart of the Do’Mani Tradeport on the planet Pervion in the V’Xarin Federation territory. Known for its affiliation with the Dir’Maate Crime Syndicate, Do’Mani is known for its often overlooked peddling of the narcotic Lace. Recently, the nightclub installed nondescript interfaces to dispense Cyber Lace, or CyLace, a more addictive version that requires the user to have an implanted cybernetic port.